Wind turbines appear from a distance to rotate anywhere between indolent and enthusiastic, but in close their lethal potential is apparent. Perfectly balanced atop a two hundred and fifty foot tower, three graceful blades encompass a diameter of nearly one hundred and forty five feet. At the tips, they crush through the air at nearly one hundred miles an hour. To steady powerful torque, the tower is anchored in tons of concrete. Their whistling has been compared to the sound of a rapidly flying duck close over the water, only louder and incessant. Clustered wind farms, located in geography with steady Class Four and Five winds, drive neighbors and wildlife to distraction. The base of a typical tower well north of Cheyenne is littered with corpses of dead birds and bats, including sage grouse, which finds half of its North American habitat in Wyoming. Since steady winds and large human populations are usually not found in close proximity, hundreds of miles of high voltage towers are necessary to transmit the electricity. The wires and wind farms disrupt the routes and winter feeding grounds of migratory mammals such as antelope, elk and bison. When the wind is becalmed, there is no power; when demand is not required for the grid, the spinning is fruitless. Natural gas and Petroleum: $ .10 – 22.5% (21.4% of it gas and 1.1% oil). Given the percentages of our energy derived from hydro carbons as well as their cost advantages, it is not clear how they could be supplanted by renewables hastily without profound economic disruption. Nuclear and hydro have their own limitations. Carving out hydro dams is disruptive, interring whole towns under millions of tons of water, and the site opportunities are limited. Although spent nuclear fuel can be reprocessed with 99% efficiency, eventually waste has to be safely stored and sealed for centuries; Chernobyl, Three Mile Island and Fukushima remind us that human error or uncontrollable natural events can visit catastrophe upon wide areas. Biofuels have been a disaster of rainforest depletion and higher food prices for those most vulnerable. Solar cells require energy intense manufacturing similar to computer chips, and the mining of silicone and other minerals has its own inherent environmental degradation. A solar cell must produce for almost a third of its projected life to “pay back” the energy consumed in its manufacture. The controversy over the Keystone Pipeline and the process of horizontal drilling and “fracking” is yet another unresolved opportunity. The enormous reserves of natural gas and oil from shale deposits in the United States and Canada have the potential to give us time to let economic forces develop alternative sources. Yet, we remain deadlocked and even insult our friendliest neighbor. Canada will sell their gas and oil; whether they sell to us or build an alternate outlet to their western harbors to ship to China remains to be seen. “Fracking” may create some problems for aquifers, but the findings in Wyoming, Pennsylvania and Texas are to date inconclusive. The only compromised well water appears to be in remote areas where old mines were revived with the process much shallower than is being done in new exploration. When wells are drilled deep, protected by intervening horizontal geological formations and encased properly, there seems to be little risk of contaminating ground water. Environmental activists want no use of hydro carbon based fuel, and so oppose the process and the pipeline irrespective of their real or perceived risks. But gas burns cleaner than coal. A “keystone” is a carved stone at the apex of an arch, that most efficient and enduring architectural element. The keystone secures the structure and balances the opposing forces of the arch. Perhaps this is an appropriate metaphor for a solution. Along with converting more electrical generation and vehicles to natural gas, using our own reserves and buying from Canada, delivering it via the Keystone Pipeline to our own refineries in Houston leads us down the road to energy independence. The pipeline has been studied in depth for three years and no serious environmental risk has been identified. Construction of the pipeline means 20,000 jobs almost immediately. Oil and gas production in our country with the new technology has grown jobs in this industry from 200,000 to 440,000 since 2003. $38 billion in Federal loans under the current administration has added only 3,500 green jobs, and much of the money was wasted in Solyndra scandals and billions more in tax credits as windfalls to wind farm developers, artificially lowering their costs. Let the market sort out the efficiencies we need to solve our multifaceted energy challenges and end our dependence on unstable nations with stated intentions to destroy us. I could not agree more with your assessment. Letting environmental extremists ruin the economy and our way of life is profound stupidity, especially when acceptable ways of using our resources exist. Pursuing energy independence through smart use of all energy resources allows us to improve our national security and the economy. Being free of tyrants and unfriendly regimes for our energy needs should be a top priority. We are going to consume fossil fuels anyway until acceptable alternatives can be developed by the free market so we might as well use domestic resources and resolve several problems at once. As you know I am knee deep in the automotive industry, spending a fair amount of time in Detroit at GM. In my time is this industry I have never seen a more intense effort to move to alternate energy, the challenge is energy storage technology. The current R&D $ spend in this area in unprecedented for an industry that 15 years ago did not spend a dime in this area. I take that as a hopeful sign. I completely agree America’s most immediate concern is to free herself from this dependency on obvious enemies. Then let’s start talking about the deficit. With every new technology there is learning and cost curve, as expensive as solar is now it is significantly less that it was 10 years ago and is costing less and less to manufacturer as competition increases and technology improves. This is driven by its market potential and tax incentives and the industry also creates lot of jobs. Germany is a good example of this. The share of electricity produced from renewable energy in Germany has increased from 6.3 percent of the national total in 2000 to over 20 percent in the first half of 2011. 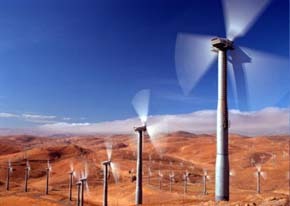 In 2010, investments totaling 26 billion Euros were made in Germany’s renewable energies sector. According to official figures, some 370,000 people in Germany were employed in the renewable energy sector in 2010, especially in small and medium sized companies. This is an increase of around 8 percent compared to 2009 (around 339,500 jobs), and well over twice the number of jobs in 2004 (160,500). About two-thirds of these jobs are attributed to the Renewable Energy Sources Act Germany is the world’s first major renewable energy economy. In 2010 nearly 17% (more than 100 TWH) of Germany’s electricity supply (603 TWH) was produced from renewable energy sources, more than the 2010 contribution of gas fired power plants. An important feature of Solar is that it is generated close to where it is used and needed, many times right on-site. The system of generating electricity and then having to distribute it hundreds or thousands of miles to where it is consumed is, in my view archaic. The losses in kW are significant in the transmission and distribution of electricity (T&D), somewhere around 10% of all power generated. In addition the cost of maintenance, losses due to whether related outages, susceptibility to sabotage and alike. This and the fact that most of it is generated using fire (coal) hasn’t changed for a hundred years and won’t unless we start and we have a good start. I wonder how many birds are killed each year do to global climate change or in Japan this summer. How many human lives are lost for that matter? The jury is still out on “fracking” but I am happy not to live or own property near any of it. With the explosive growth of natural gas wells in the US, it is predicted that public exposure to the many chemicals involved in energy development is expected to increase over the next few years, with uncertain consequences. As development of natural gas wells in the U.S. since the year 2000 has increased, so too have claims by private well owners of water contamination. This has prompted EPA and others to re-visit the topic. A Duke University study published in Proceedings of the National Academy of Sciences in 2011 examined methane in groundwater in Pennsylvania and New York as well as states overlying the Marcellus Shale and the Utica Shale. It determined that groundwater tended to contain much higher concentrations of methane near fracking wells, with potential explosion hazard; the methane’s isotopic signatures and other geochemical indicators were consistent with it originating in the fracked deep shale formations, rather than any other source. Complaints from a few residents on water quality in a developed natural gas field prompted an EPA groundwater investigation in Wyoming. The EPA reported detections of methane and other chemicals such as phthalates in private water wells. They have no idea what this means in the long term and no history to reflect on, is this really the way we want to go?